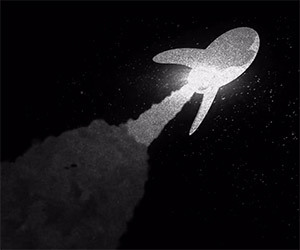 This amazing animated short takes the profound words of Carl Sagan describing our place in the vast universe and sets them to bold images and music. 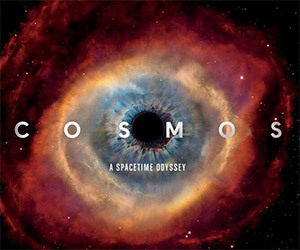 COSMOS returns to television on FOX in 2014 hosted by Neil DeGrasse Tyson. 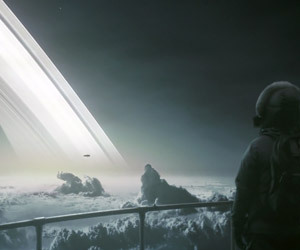 Here's the latest trailer for the program, which follows in the footsteps of the Carl Sagan series. 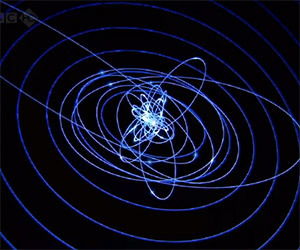 "Are planet is a lonely speck in the great, enveloping cosmic dark." 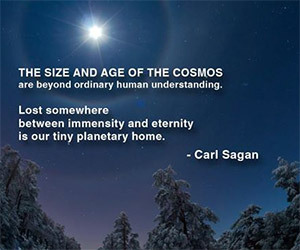 Carl Sagan's moving words about mankind's tiny world in a vast universe. 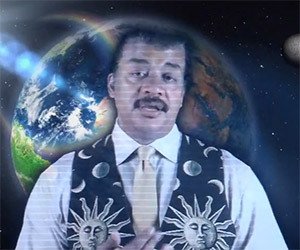 For YouTube's Geek Week, astrophysicist Neil DeGrasse Tyson gave us his ten reasons why we should love science. He's got some amazing items to share. Morgan Freeman, Neil deGrasse Tyson, Carl Sagan and a choir of scientists sing to you about the science and freakiness of black holes. 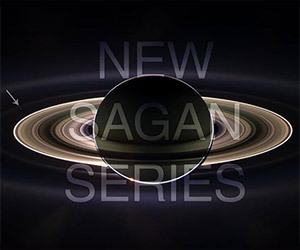 Enjoy the moving words of Carl Sagan set to stunning imagery of Earth and the cosmos by Reid Gower, who has achieved great success with the series.